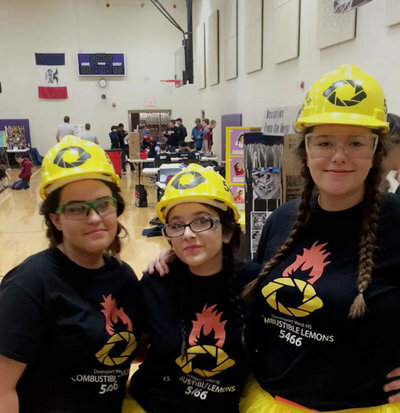 After the Velocity Vortex season, the Combustible Lemons had to say goodbye to three of their team members who were graduating. All of three of the graduates are heading off to University of Iowa to study engineering; and all plan on coming back to Davenport to mentor our team for the upcoming seasons. They've worked extremely hard for this team for multiple years and have become great leaders on the team. We are all extremely proud of their accomplishments and cannot wait to see what they do in the future! 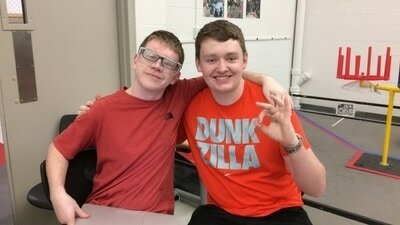 Noah was a member of Davenport West Robotics for all four years of his high school career. 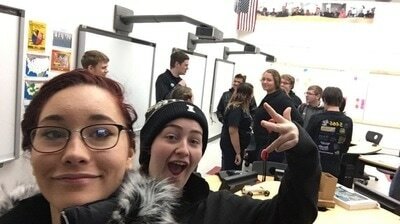 The first two years, he was on a now-retired team Iridium Falcons and then transferred to the Combustible Lemons for his third and fourth years in FTC. 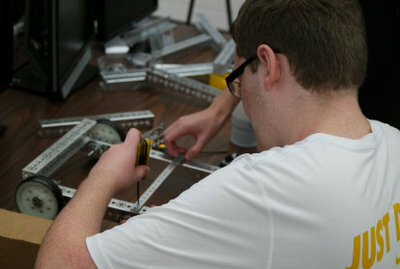 During his senior year, he was also a member of the Disruptive Innovation FRC team at Davenport West. Noah was one of seven students on the Lemons to travel to Kenya during the Summer of 2016. 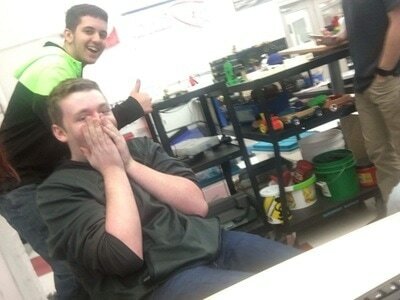 After returning, he's worked as one of two Project Managers while working on building and programming our robot. Noah will now be studying Electrical Engineering at the University of Iowa and coming back to Davenport to help mentor the teams at West. Kailey was a member of the Combustible Lemons for two years. 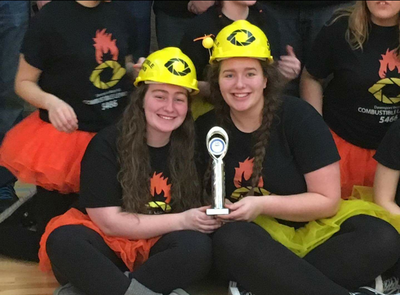 She spent her entire senior year leading two FIRST teams as project manager; the Combustible Lemons and the rookie FRC team, Disruptive Innovation. Both of these teams made it to the St. Louis World Championship and won the highest awards that they could (Inspire and Rookie All-Star). She was a vital part of the Kenya Initiative during her two years on the Lemons. Aside from Robotics, Kailey participated in volleyball and swimming. She was also a member of the National Honor Society. 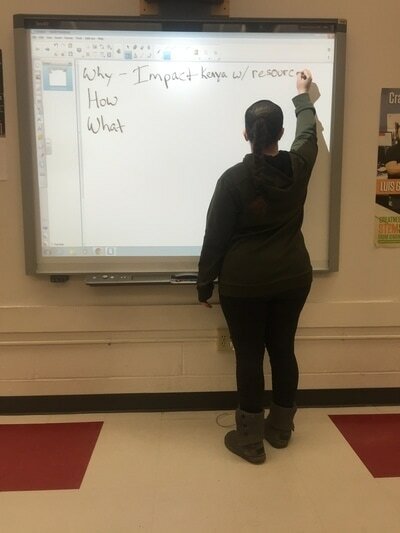 She is now going on to study Biomedical Engineering at the University of Iowa and plans on coming back to mentor the teams at Davenport West. Jenna has been a member of FIRST for three years. 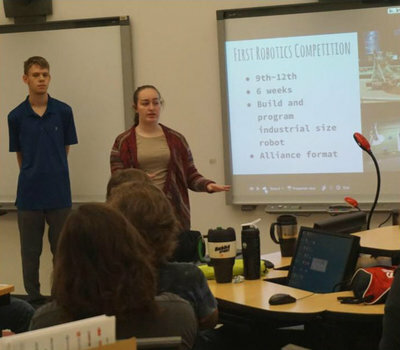 During her sophomore and junior years, she was a member of the Iridium Falcons FTC team. She was then moved to the Combustible Lemons for her senior year as her previous team retired. She was also a member of the Disruptive Innovation FRC team. She worked on both of the teams as a CAD Designer. While in high school, Jenna participated in color guard and played the trumpet in band. She played volleyball, bowling, and was a member of the track team. She also was in Girl Scouts. 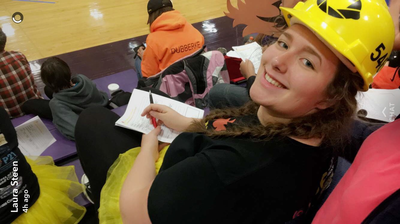 Jenna is now studying Mechanical Engineering at the University of Iowa and planning on returning to help mentor the FIRST teams at West.